PSMD5 antibody recognizes PSMD5, also known as Ras-related protein Rab-25, or S5B. 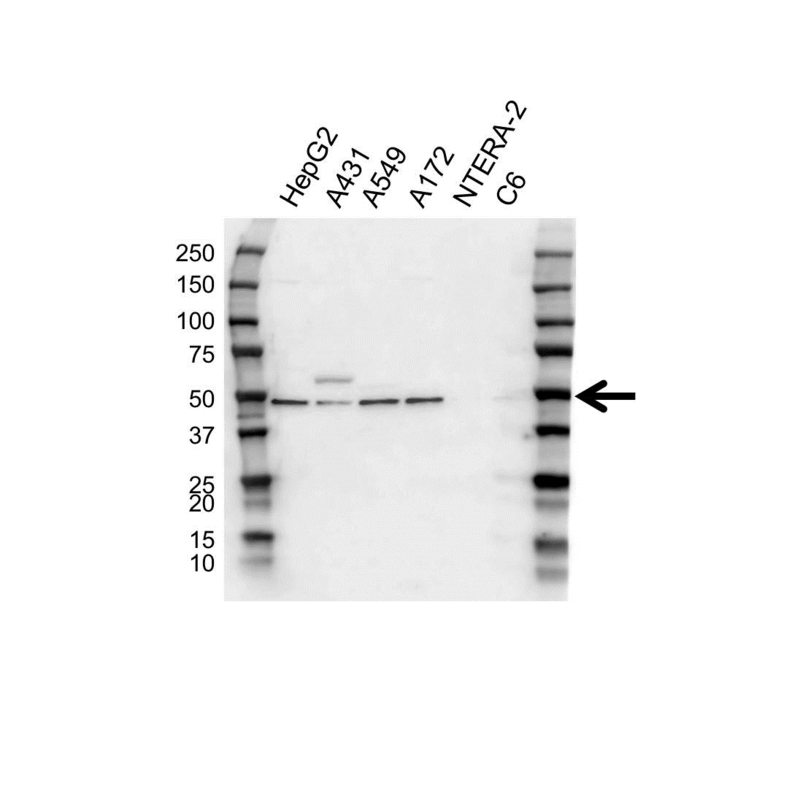 Rabbit anti Human PSMD5 antibody recognizes PSMD5, also known as Ras-related protein Rab-25 and S5B. RAB proteins, such as RAB25, are members of the RAS superfamily of small GTPases that are involved in membrane trafficking. Members of the RAB11 subfamily, including RAB25, control the return of internalized membrane-associated moieties to the cell surface (Caswell et al., 2007) (supplied by OMIM, Aug 2009). Rabbit anti Human PSMD5 antibody detects a band of 50 kDa. The antibody has been extensively validated for western blotting using whole cell lysates.